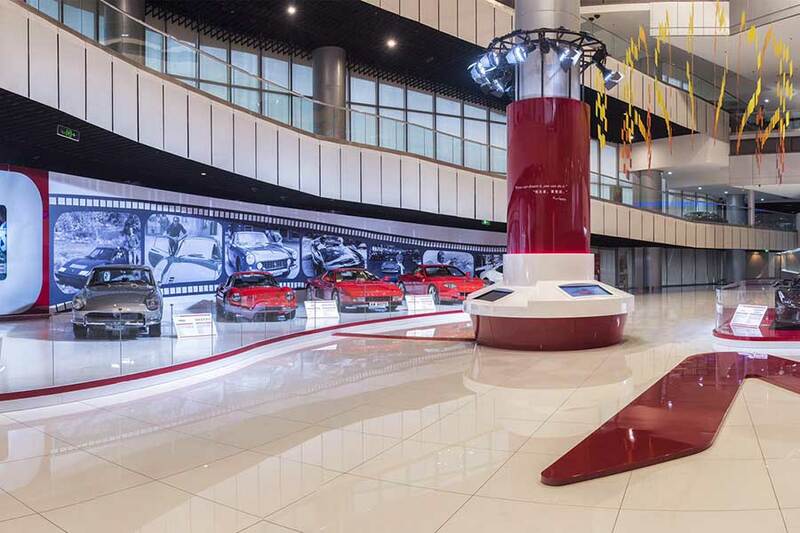 Ferrari has launched its 70th Anniversary Exhibition in Shanghai, commemorating seven decades of the illustrious Cavallino Rampante. 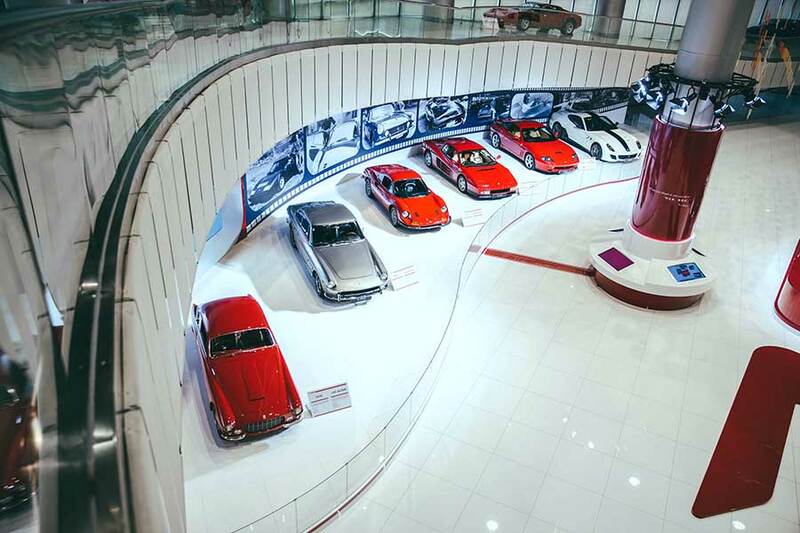 The exhibition features 14 classic Ferraris, arriving in China from the prestigious Ferrari collection, offer a fascinating glimpse into the history of the world’s most acclaimed super car marque and reflecting Ferrari ownership means far more than simply the possession of a historic sports car. The fleet of classic cars includes masterpieces such as the powerful 195 Inter, a touring-type version of the 195 S that first meet the world in 1950; the popular 330 GT 2+2 series II that outsold the preceding 250 GT 2+2 model; the highly successful Dino 246 GT, whose demand remained high right up until the production run was concluded; the glorious Testarossa was first made available in 1984; the pioneering front-engined V12 car 550 Maranello; and the highly coveted 599 GTO that was created in 2010. Also on display during the launching ceremony of the exhibition is the revolutionary all-new LaFerrari Aperta, an artwork launched to mark the 70th anniversary of the foundation of the company. Each of the cars showcases a golden age of the marque in its 70 years of relentless pursuit of surprising and amazing the world over with innovation, excellence and craftsmanship. The exhibition also heralds the return of the world’s most popular track experience, “Ferrari Racing Days”, to the Shanghai International Circuit from May 28-29 for the seventh consecutive year. Joining customers, fans, media and competition drivers, were a vast array of highlights, including the historical masterpieces to be on display together with participants of the famous actor, William Feng. At the heart of the Ferrari brand are decades of success in the illustrious competition of Formula 1 racing. The continued growth of the Ferrari Racing Days represents the clear commitment of Ferrari to the China market and the development of racing culture in this region for many more years to come. The famed programme is set to keep thrilling Ferrari enthusiasts and motorsports fans with opportunities to witness the highest levels of performance, the finest degrees of precision engineering, and the most beautiful expressions of Italian styling. The Tribute to Ferrari – 70th Anniversary Exhibition is one milestone among many for Ferrari in 2017. This year is sure to provide many more highlights for the Cavallino Rampante, as Ferrari continues to stir the quintessential driving emotions of millions of people across China and around the world. *The show car list may adjust according to the onsite management.